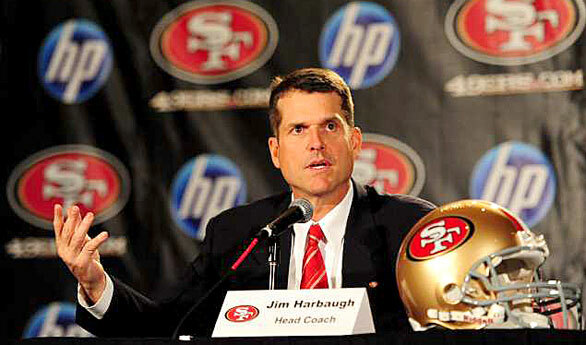 Jim Harbaugh signed a five-year $25 million contract to coach the San Francisco 49ers. 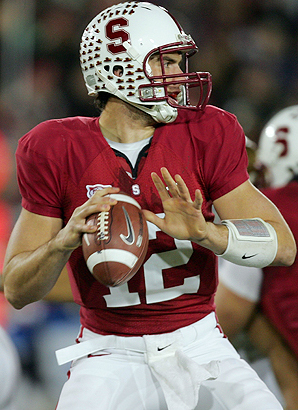 This is a great move for the former Stanford Cardinal football head coach since it won't be much of a move at all, as Harbaugh will remain in the Bay Area where he's found much success at the college level. Harbaugh was desired by many NFL teams, but in the end decided to go the route of his mentor, Bill Walsh, going from Stanford to the Niners. Harbaugh should make the team more exciting with a strong emphasis on offense, which is a contrast to former Niners head coach Mike Singletary's approach. After high expectations before the season and subsequent disappointment, it was time for a change and Harbaugh will bring some excitement to the Bay Area on a professional level. 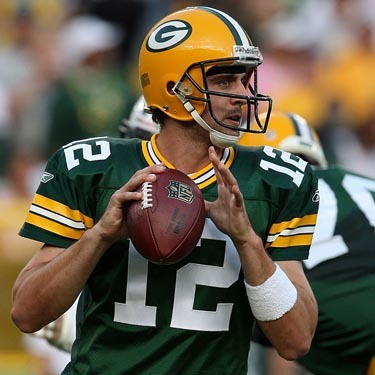 Dennis Velasco and Chris Sannella breakdown the AFC Wildcard Weekend games between the New York Jets versus Indianapolis Colts and the Kansas City Chiefs versus Baltimore Ravens. 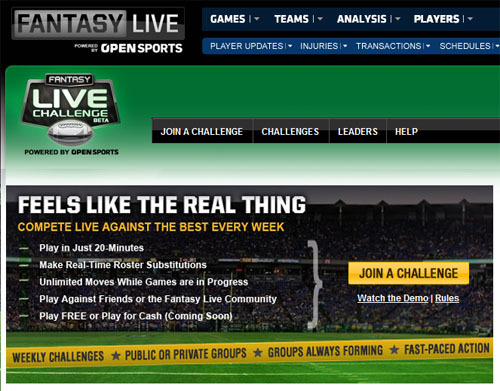 We pick our winners from each game, highlighting the play of Peyton Manning, the Jets defensive pressure, the Chiefs' running game, and the Ravens' talent on both sides of the ball. Listen to the podcast after the jump. 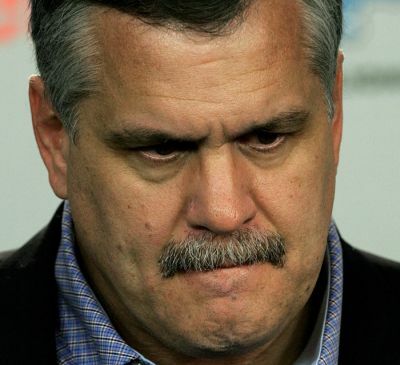 Matt Millen was the Detroit Lions' GM from 2001-2008 and it was the opinion of NFL and especially Lions fans that Millen stunk at his job. Now, with John Elway taking the GM reins with the Denver Broncos, Millen who was also a former player without any previous experience running an NFL football team in any manner, is hoping that Elway will succeed. It's mighty nice of Millen to wish Elway luck, but at least the latter had experience running the AFL's Colorado Crush. Another thing in Elway's favor is that the franchise at least has some talent to work with, as well as a strong fan base and record of doing well during its history. The Lions did not when Millen took over, which concluded when Millen left after the 2008 season when the Lions became the only team in NFL history to not win a game, going 0-16. Ouch. 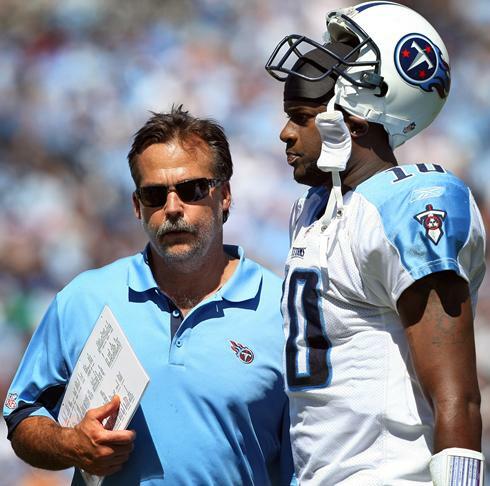 It had become obvious that Tennessee Titans head coach Jeff Fisher and mercurial quarterback Vince Young could no longer co-exist. Titans owner Bud Adams also knew this to be true and had to make a choice between Fisher, who just finished his 16th season as Tennessee's man in charge on the field and the third overall pick in the NFL's 2006 Draft. Adams is publicly known to love Young, which makes this announcement kind of surprising. However, Fisher isnt in the clear yet as the coaching staff is being evaluated as well. It could be a totally new direction for the Titans going into next season. According to Indianapolis Colts President Bill Polian, it looks like the NFL season will expand from 16 games to 18 games. This isn’t official yet as both the owners and players association will need to approve this change, but at this juncture, it seems like a formality. Polian is a member of the NFL’s competition committee and a former league executive, so his words during his weekly radio show carry some weight. How do you feel about the change? Leave your comments below! Tom Brady and the New England Patriots finally agreed on a four-year extension that will pay Brady $72 million with $48.5 million guaranteed. Considering all that he’s done for the organization, namely leading the team to three Super Bowls, it was only a matter of time before Brady re-upped with the Pats. It would have been shocking if Brady didn’t get the opportunity with the team he’s been with his whole career since 2000. Is Randy Moss, playing in his final year of his contract, up next to sign an extension with the Patriots? It doesn’t seem likely. Darrelle Revis and the New York Jets finally agreed to a deal that will bring back, arguably, the best cornerback in the NFL to the best defense in the league. Revis held out beginning on August 1st and is expected to come to New York today to sign his new contract. For all involved, including Jets fans, the whole process was a gut-wrenching and sad period of time. 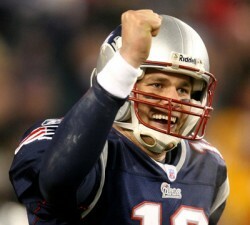 However, all can now rejoice as the Jets move up from simple playoff contender to Super Bowl contender. The rest of the NFL cannot be happy.